The HIS Process provides in-depth information on setting up a ReqIF-based requirements exchange. 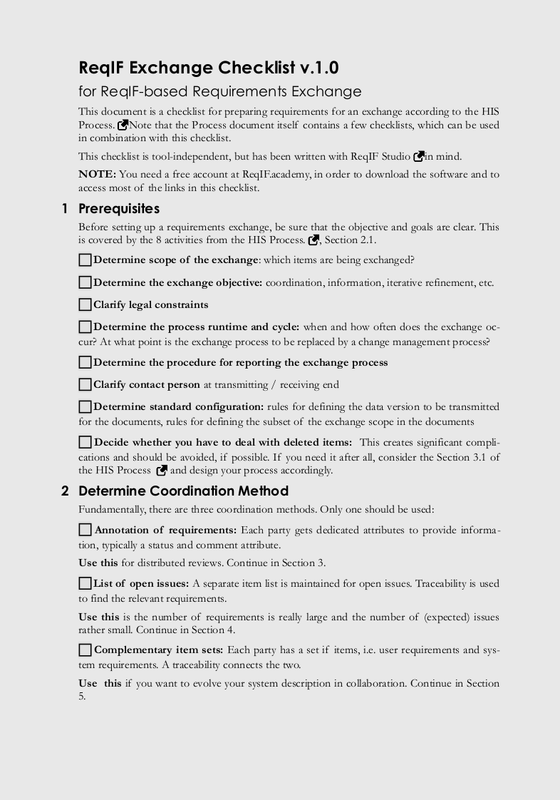 But if you want to get started quickly, then use this checklist to decide on the exchange method and to set up your tool. No download button here? This means that you do not have access to this premium content. You can buy full access to all premium content. This PDF is also part of the Mastering ReqIF Online Course.